Labels are a quick and clear way to organize all the files in your projects. For example, you might label files as a report, presentation, or sketch. Next to any file in Basecamp 2, you'll see a button that says "Label…" To label a file, click that button and name your label with a memorable term. Start typing the name of your label. 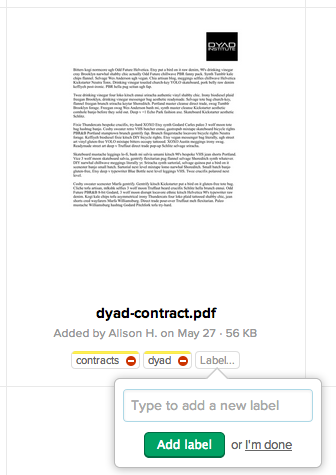 Once you're done typing, click "Add label." 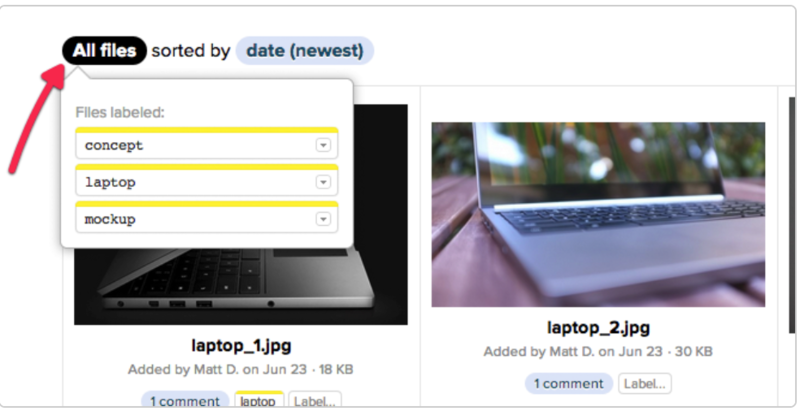 When a label was already used somewhere else, Basecamp automatically suggests it so you can select it. 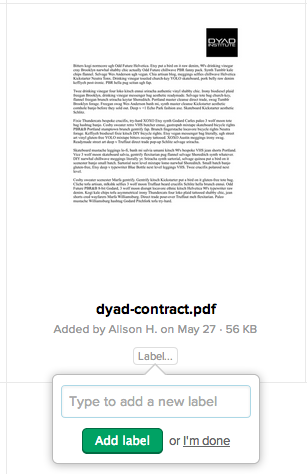 The label will appear next to the file. 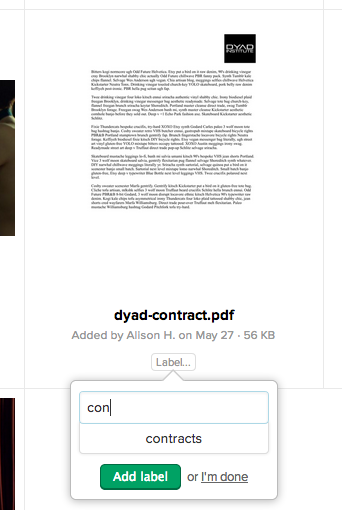 Click on the "Label..." button next to your file. Each label will have a red delete icon. Clicking that icon removes the label from the file. In a project, clicking the 'all files' pill will show you all labels in a project. 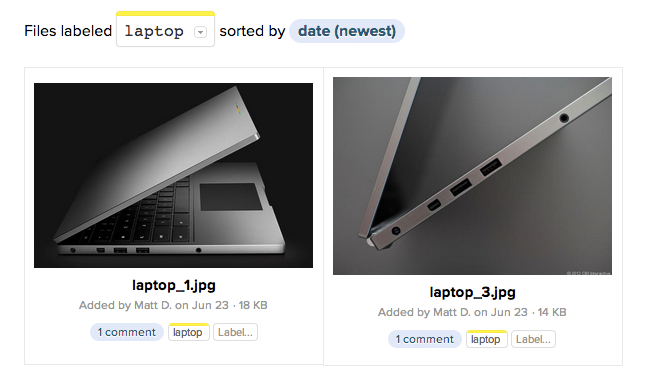 Clicking a specific label will show you a list of all the files with that label in your project. To see all files in your account with a label, use the search box and start typing your label. Matching labels will appear. 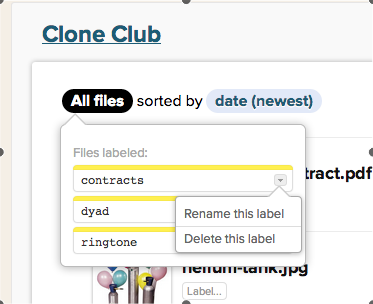 To change or remove a label entirely, click on the label in one of your files to jump to the label's page and click the down-arrow icon next to the label's name.